Subaru brings back the pure sports car. 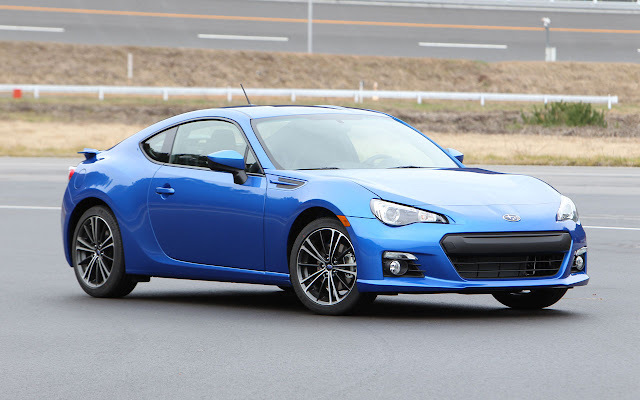 -- Subaru BRZ focuses on low center of gravity, low-weight and handling. -- Lightest rear-wheel drive 2+2 production sports car in U.S. market. 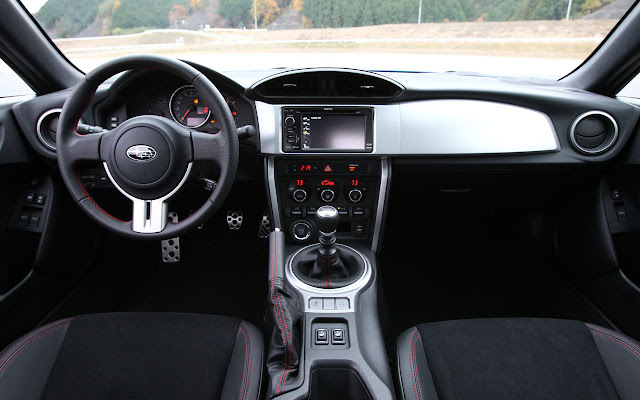 Subaru developed the BRZ with the fundamental of sports car design in mind: low vehicle weight, an ultra-low center of gravity and precision steering. Utilizing Subaru's naturally aspirated 200 horsepower horizontally opposed (BOXER) engine design is a sports car that does not sacrifice everyday comfort and practicality. With 2+2 seating and folding rear seats, cargo space is sufficient to transport four race tires and tools to track days. Combined with the Subaru brand's renowned safety and quality, the BRZ is a sports car with practicality as well as performance. The recent sports car trend has been to focus on "ultimate" power, luxury and performance. As a result, many sports cars have grown heavier and more expensive. Seeking a pure sports car for road and track driving Subaru followed a purist approach to engineering the 2013 BRZ. Using a large proportion of high-tensile steel, with aluminum for the hood, the 2013 Subaru BRZ weighs an estimated 2,762 pounds for the U.S production models, making it the lightest closed rear-wheel drive sports car in the U.S. market today. Comparing the BRZ to a few notable current sports cars, the BRZ weighs about 160 pounds less than the Porsche Cayman, about 300 pounds less than the Lotus Evora and is more than 500 pounds lighter than a Hyundai Genesis coupe. 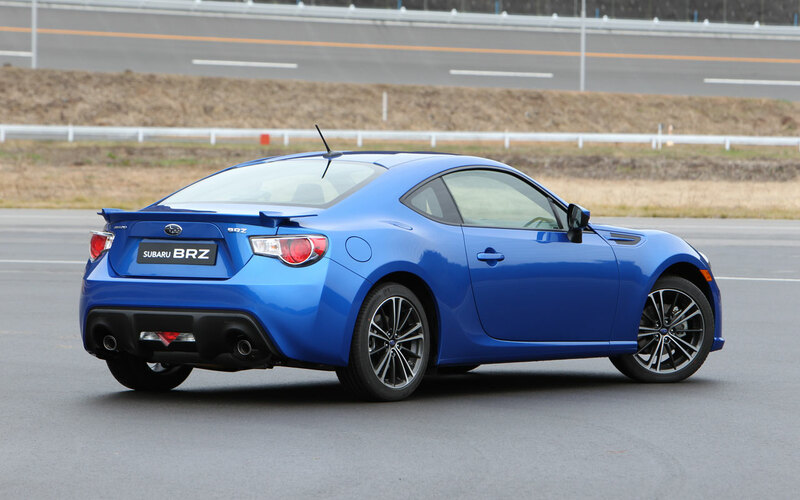 The Subaru BRZ is powered by an all-new FA-Series BOXER engine that is not shared with other Subaru models. Fundamental to true sports car character, the 2.0-liter engine combines light weight with high strength, high compression and high-revving responsiveness. The 4-2-1 exhaust exits with dual outlets, and the system has been tuned for a throaty sound. Directing some of the intake sound into the cabin also adds to the performance-tuned feeling of the car. 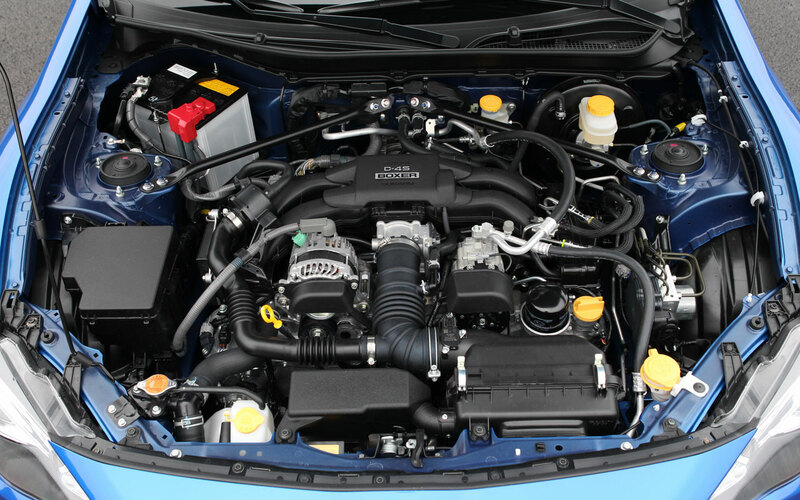 The Subaru BRZ BOXER engine employs the Toyota D-4S fuel injection system, which uniquely combines direct injection and port injection technology. A direct-type fuel-injection system, which sprays fuel directly into the combustion chambers rather than upstream into the ports, provides a cooling effect in the cylinders. The driving enthusiast can choose between a new six-speed manual and optional six-speed automatic transmission in the 2013 Subaru BRZ. Both transmissions have been engineered and tuned to maximize performance and driving feel. The six-speed manual presents the driver with a short-throw shift lever, and the pedals have been optimized for "heel-and-toe" downshifting. Triple-cone synchronizers on first through third gears help ensure durability. Clutch effort and pedal rake, as well, have been tuned to make this an ideal sports car manual shift. The optional paddle-shift six-speed automatic transmission offers no-compromise performance in the Subaru BRZ. The driver can select Sport mode from a switch on the center console for quicker, firmer automatic shifts. The Subaru BRZ is built on an entirely new platform and shares just a few parts with other Subaru models, but shares suspension architecture with the new Impreza and WRX STI. Effective use of high-tensile steel in the car's upper structure contributes to its low center of gravity. Chassis tuning takes maximum advantage of the BRZ's ultra-low center of gravity and high-strength body structure. Limited-slip rear differential is standard for all.